Trevor Nelson, Co-Founder of Pure Solutions, a provider of safe, environmentally sustainable methods for tick, mosquito, and deer control joins eHealth Radio and the General Health, Health News & Lyme Disease Channels. Let’s start with the basics. What is Lyme disease, and how can you contract it? Personally I only think about ticks and Lyme disease in the summer because that’s when I spend the most time outdoors, do we only have to worry about Lyme disease in the summer? What is Pure Solutions doing to help? Typically when companies try to protect against insects, there is a harmful effect on the environment from toxins. How is Pure Solutions’ different? Trevor Nelson is co-founder of Pure Solutions. Prior to Pure Solutions, Trevor was a sales consultant for Classic Wine Imports, the leading distributor of wines and spirits in New England and the 7th largest distributor in the country, and has more than 5 years of experience directing wine programs at top restaurants in Denver and Boston. 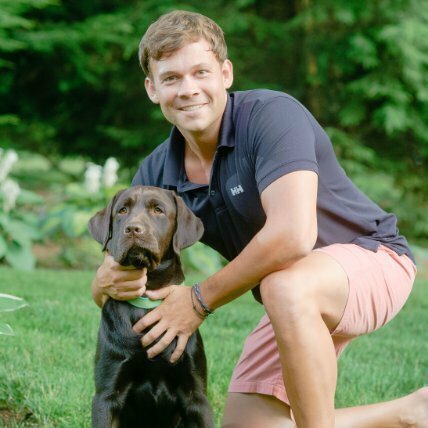 His journey from the restaurant industry to co-founding Pure Solutions with his cousin, Brian Whittemore, started with his passions for the environment, public health and social issues impacting local communities and abroad. He currently lives with his two Labrador Retrievers, two Icelandic horses, and a brood of chickens on a farm in Harvard, Massachusetts. Founded in 2005 by Brian Whittemore and Trevor W. Nelson, Pure Solutions provides safe, environmentally sustainable alternatives for outdoor services such as mosquito and tick elimination, as well as deer control, for both commercial and residential properties. Pure Solutions is dedicated to the growing responsibilities of its services, which include protecting and preserving the communities, water supplies, and the environment. Pure Solutions joined the Sustainable Business Network of Massachusetts in 2013, which focuses on building a Massachusetts economy that is local, green and fair. PROGAEA™ by Pure Solutions is a family of all-natural products which utilizes proprietary botanical extracts and oils which work by disrupting the neurotransmitter function in target insects, and provides residual control. The PROGAEA family of products are both EPA FIFRA 25(b) exempt and National Organic Program (NOP) compliant, which benefit both the community and the environment. Pure Solutions has office locations in Weston and Chatham, Massachusetts, and Lyme, New Hampshire, and services Eastern Massachusetts, Cape Cod and Martha’s Vineyard, Upper Valley Vermont, and New Hampshire. Please visit puresolutions.com for more information.